Another interest of mine is industrial heritage, especially transportation and the steel and coal industries. On my visit to the UK in June two of these were close to where I stayed with my mum on the eastern outskirts of Chesterfield. 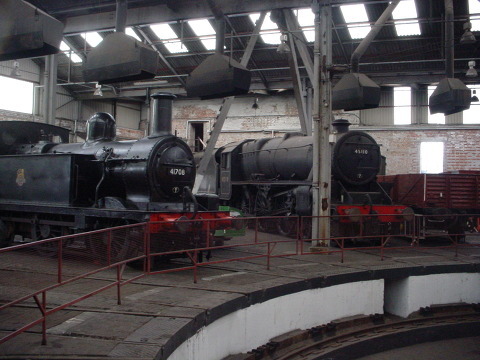 The Barrow Hill Roundhouse is the sole remaining roundhouse in unaltered form in the UK. A roundhouse was a large buiding (still called a shed colloquially) used to house and service railway locomotives. Usually there was one railway line entering the shed, which led to a turntable, off which railway lines were arranged in a circle. 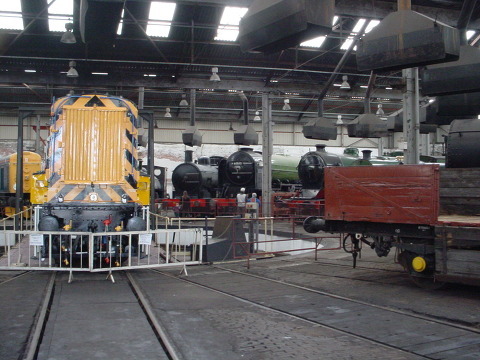 The Barrow Hill shed was built to service the industrial area to the east of Chesterfield. This was mostly concerned with the mining of coal, with some steelmaking and a large chemical plant (Staveley chemical works). Today the shed is in the hands of voluntary railway preservationists and a diesel locomotive/railway carriage hire firm (Harry Needle Locomotive Group). A large number of retired diesel locomotives are in residence, and a smaller number of steam locomotives - most of them with some link to the area. For instance tank engine 41708 worked Stavely Chemical works for a number of decades, and Butler Henderson (Great Central Railway 506) used to work express trains on what used to be the Great Central main line only a couple of hundred metres away in the 1920s and 30s. Canals were used in the UK (mostly England) before the building of the railways for carrying goods. Initially they were horse-powered, with one horse or more towing the canal boat from an adjacent towpath. Sail was used in some places (especially river sections). In tunnels the boat was walked through by people on the boat lying on their backs and pushing sideways against the walls of the tunnel. Steam, then petrol/diesel motors replaced these. The heyday of the canals was the late 1700s and early 1800s. They were slow compared to the railways. 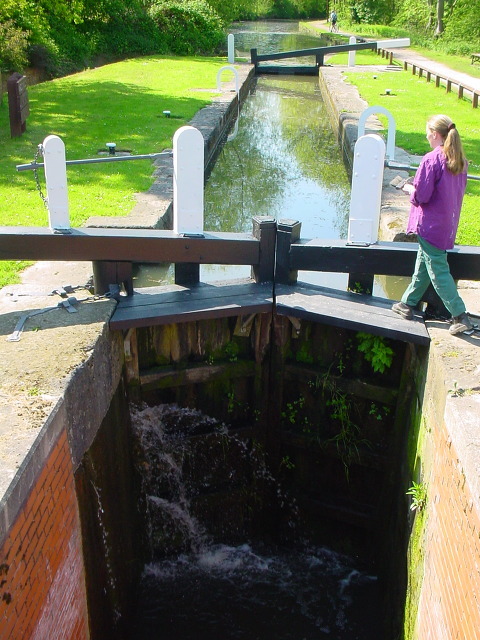 The boats on most of the canals were narrowboats - long and narrow - to fit through the canal locks, which were a valve-like arrangement to allow the canal to gain and lose height. These days canals are mostly used for recreation - walking or cycling along them, or holidaying in a boat, or catching fish from them. 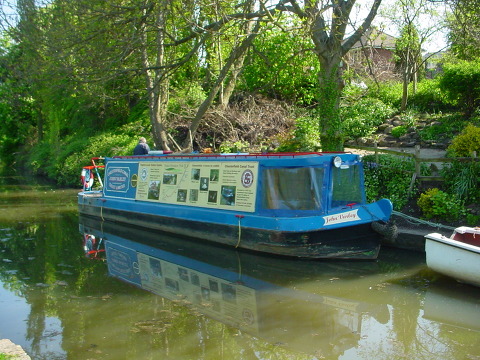 A narrowboat on the Chesterfield Canal. This one gives historical trips. Bluebank Lock on the Chesterfield Canal. Note the difference in water levels.